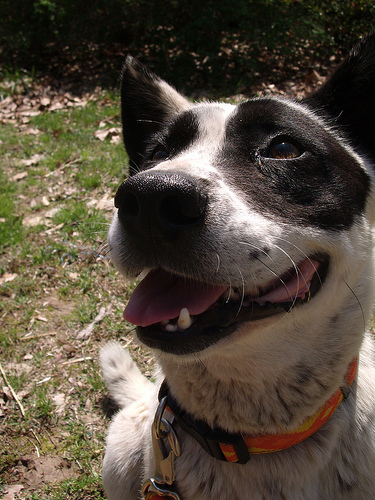 The Australian Cattle Dog has brains and brawn, and they’re cute to boot. What’s not to love? They are the perfect blend of a sturdy workhorse and a loveable companion. 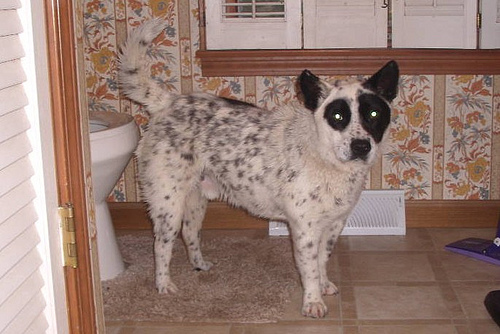 This medium-sized breed has short hair that mixes in combinations of white, black, and brown. The result? Some dogs take on a reddish hue, while others have blue undertones. Both red and blue dogs are born white and develop darker hair over time. Australian Cattle Dogs have short ears that are perpetually perked up, making them appear alert and ready for action — which they mostly always are! Their weight ranges from 30 to 50 pounds, which is great middle ground between large and small breeds. 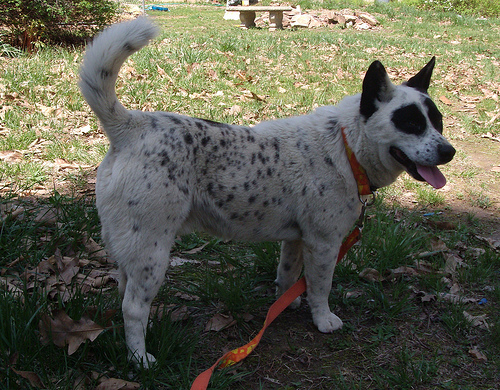 The Australian Stumpy Tail Cattle Dog is a variation of this breed, and they are born without tails. These dogs have sharp, pointy teeth and are great hunters. They are often kept on farms and ranches with lots of wide-open space for them to roam and run. Not only are they athletic, but their high level of intelligence and personable demeanor also make them a great fit for therapy and police work. They often serve as bomb sniffers, drug detectors, and therapy companions. No matter what the job, they do it with pride. 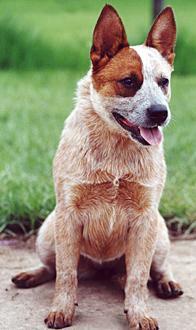 Height (Male) 18 - 20"
Common Misspellings Australian Cartle Dog, Auatralian Cattle Dog or Australien Cattle Dog. They are very task-oriented and will see a job through to completion. 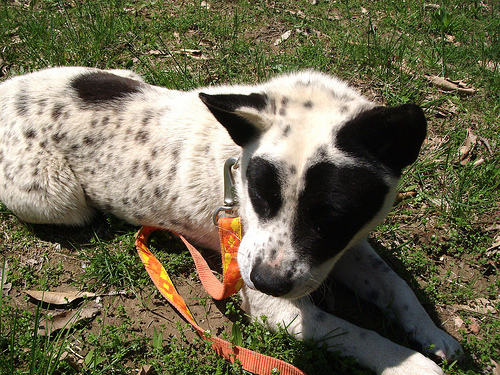 They are also fiercely loyal to their owners and can become protective around other dogs or new people. They are sometimes called Velcro or shadow dogs because they love to be by their owners side at all times. 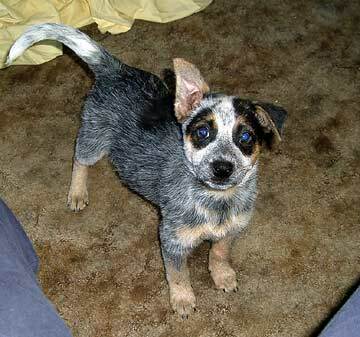 Its important to train them Australian Cattle Dog puppies early so they can socialize properly later in life. Dont let those pointy teeth mentioned earlier concern you. 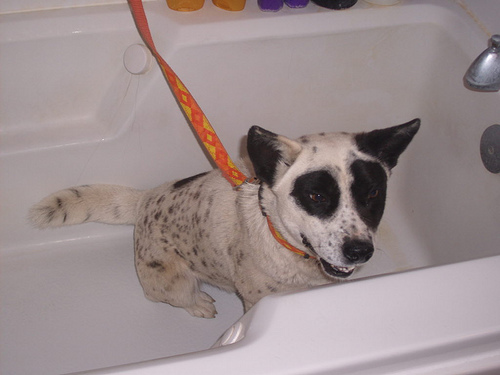 The Australian Cattle Dog has a mostly calm temperament and will rarely bark or become aggressive unless they feel their owner is being threatened. They typically do well around children as long as they are introduced to the dog as a puppy. However, they do like to nip and bite during play; training early on can help reduce that tendency. 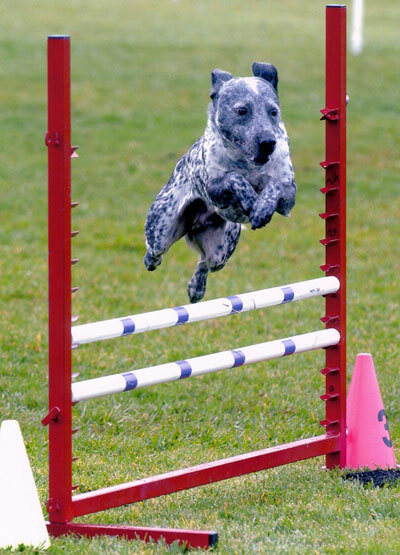 Australian Cattle Dogs have grit and will want to keep working or playing no matter what. This means owners need to keep a close eye on them for injuries and be firm about not letting them do certain activities if something does happen. These dogs are very energetic and require frequent exercise. They make great companions for running or walking, and they are also very adept at canine sports like flying discs. Along with needing consistent physical activity, these dogs also have active minds that need to be stimulated. Be prepared to play lots of games, teach them tricks, or put them to work. Otherwise, they will come up with their own activities that could include chasing cars, squirrels, or other things that youd rather they leave alone. 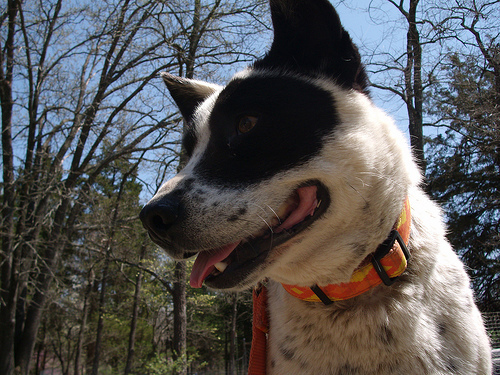 Beyond the activity component, an Australian Cattle Dog is relatively easy to care for. They should receive weekly brushings and occasional baths. 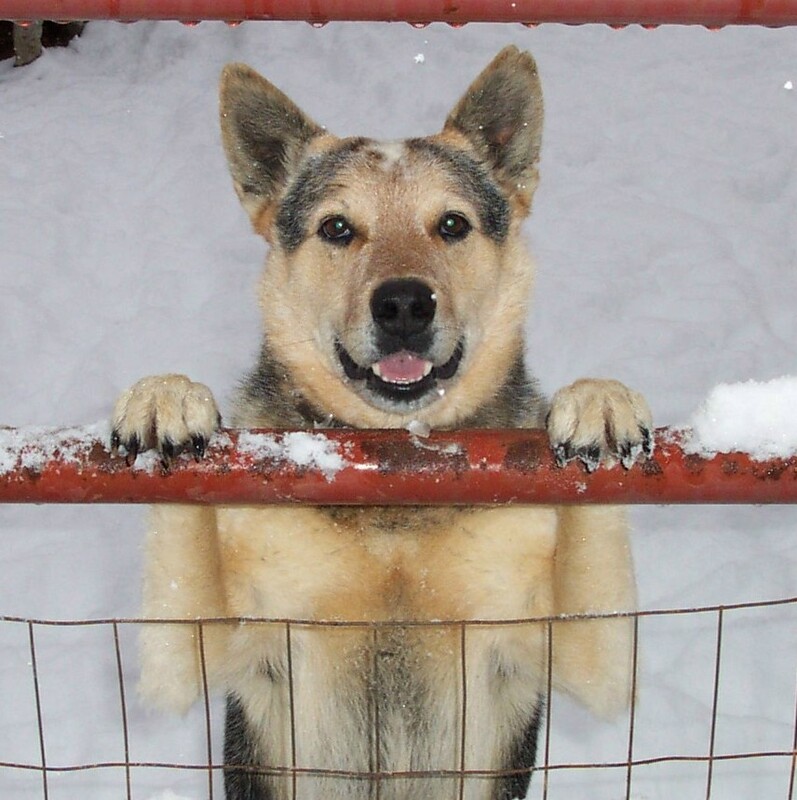 They are sturdy dogs who have long lifespans with few health problems. Their active lifestyle does mean they need a balanced diet and plenty of food and water, but limit feeding times to prevent overeating. They need to maintain their weight to sustain a high level of activity. The average lifespan is 12-14 years. 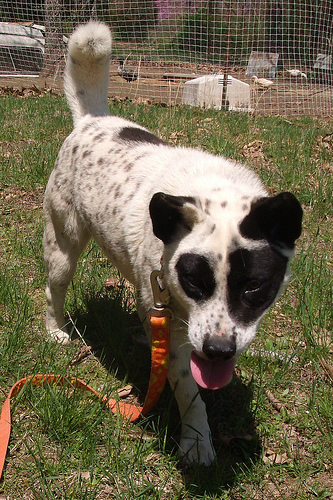 Known health issues include hip dysplasia, deafness, retinal atrophy, and cataracts. 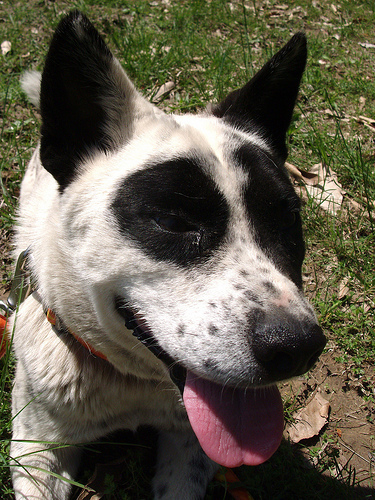 As the name suggests, the breed was born out of a need to herd cattle in Australia in the 1800s. English Sheep Dogs just werent cutting it in the land down under, and the Australian Cattle Dog emerged as an alternative. 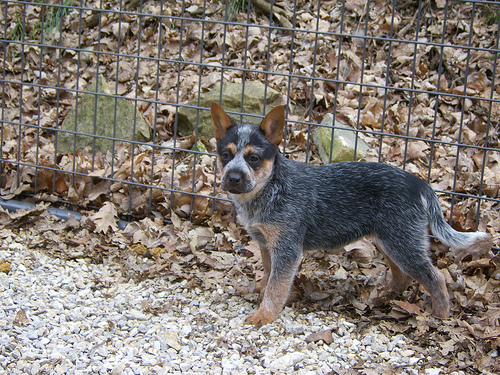 If Australian Cattle Dog puppies seem a little wild, its because they are, at least partially. 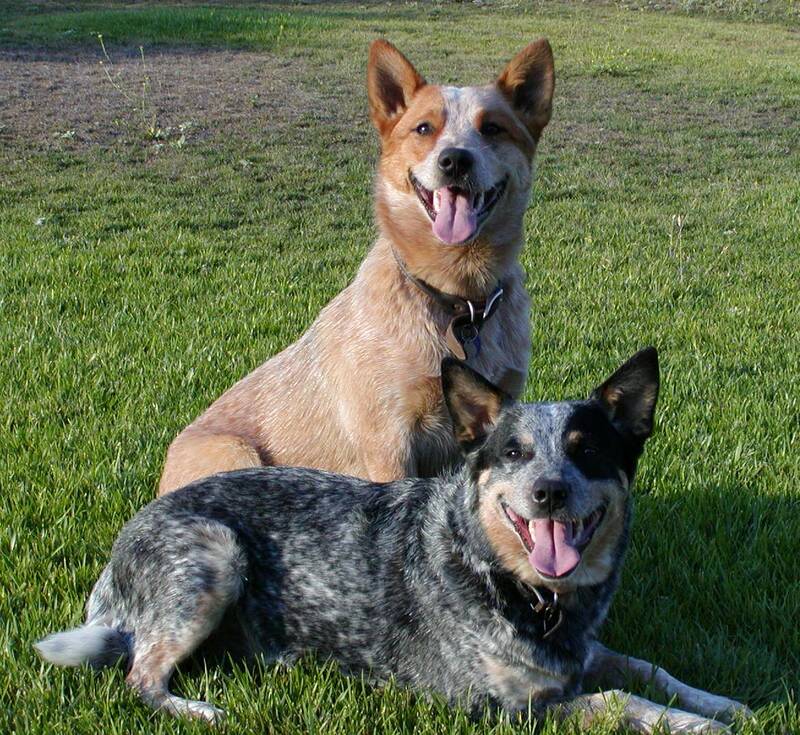 These dogs were born by breeding English dogs with Dingos, wild dog that is native to Australia. The Dingo is Australias largest predator, targeting rabbits, kangaroos, rats, and other animals (contrary to what pop culture might say, they do not eat babies). That predatory streak, combined with the more mild-mannered and intelligent nature of a sheepdog, lead to the breed we know and love today. 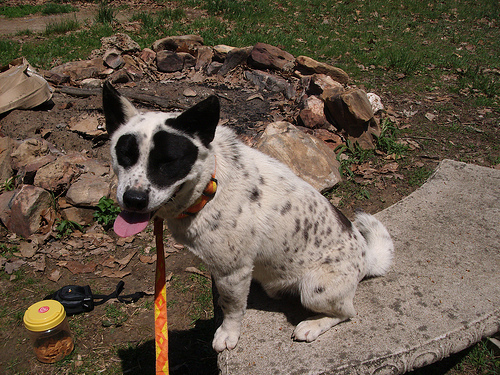 Throughout their history, the Australian Cattle Dog has been known as the Australian Heeler or Blue Heeler because of their tendency to nip at the heels of cattle in an effort to move them along. They first came to the US after World War II and are currently the AKCs 58th most popular breed.